As part of your fleet, Toyota Hybrids make perfect business sense. They deliver class-leading Total Cost of Ownership, a high standard specification and extremely low CO2 emissions which could lead to lower taxation. Our Hybrids work hard to save your business money. 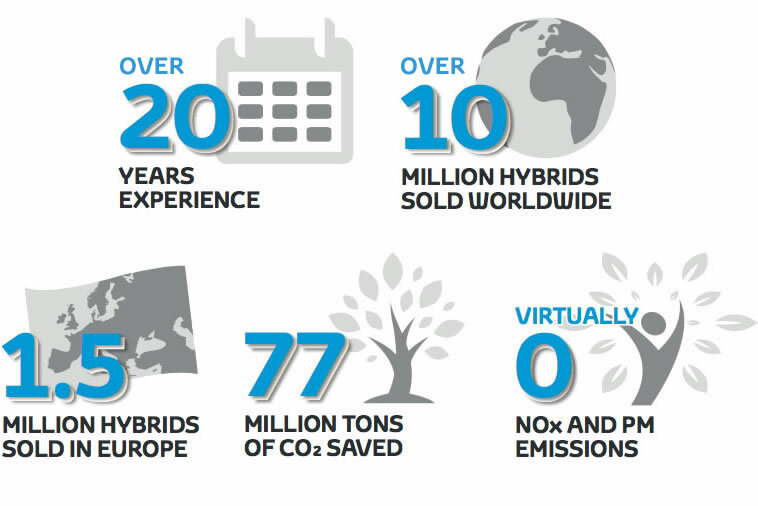 Ever since 1997, our Hybrid family has continued to grow. Now, with seven body styles to choose from – including the compact Yaris Hybrid, the high-quality Auris Hatchback, the spacious Auris Touring Sports and the adventurous RAV4 Hybrid – as the Hybrid leader we will have a Hybrid model to complement your business. Throughout its service, a Toyota Hybrid will remain a real asset to your business. Compared to many competitor vehicles, used Toyota Hybrids enjoy very high residual values: even with 4-5 years service behind them their values remain reassuringly strong, as can be seen across our TOYOTA PLUS used car programme. The Prius Plug-in Hybrid takes efficiency to new levels. Cutting-edge design and a series of world-first innovations contribute to ultra-low CO2 emissions from 22 g/km and fuel consumption from 1.0 l/100km. With an electric driving range of 50km and the ability to switch to hybrid power automatically when the battery runs low, your business can go further for less. Toyota Corporate Profile Discover more about Toyota's personnel and facilities, business activities as well as its sales and production growth around the globe. World of Toyota in Europe Discover more about Toyota in Europe including news, stories and events. Toyota Service and Accessories Discover more about Toyota Service including Toyota Genuine Parts, Accessories and Warranties. Toyota Finance and Insurance Discover more about the range of Toyota Finance and insurance solutions and find contact information for your country.